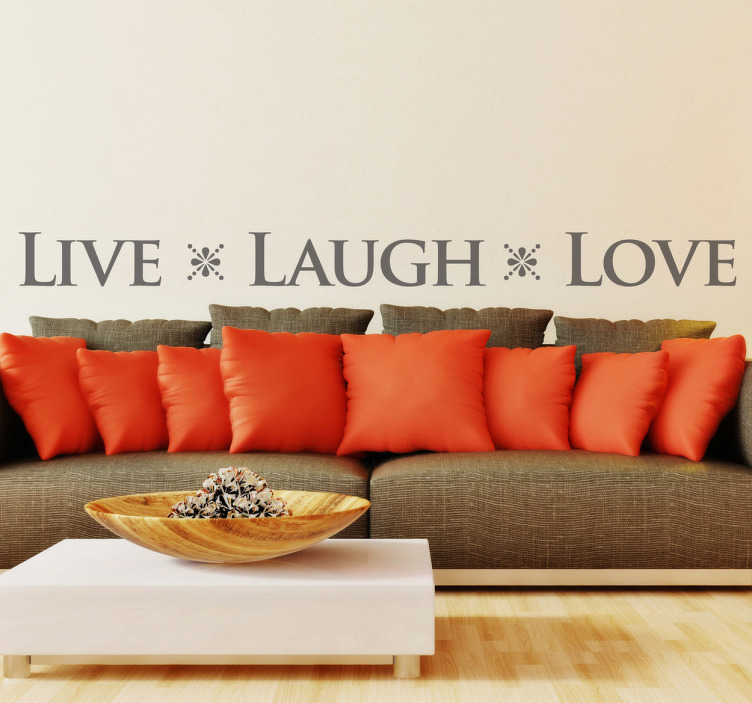 A text wall sticker with a popular inspirational phrase consisting of three key words; 'live, laugh love'. Do you live your life by this simple motto? We all know that life is short, so it is important that we live, laugh and most of all love a lot. Remind yourself of this everyday by placing this sticker with a stylish font anywhere in your home. Many sizes and colours available to suit you and the rest of your decor at home. Apply easily to any flat surface and remove without leaving any residue.